Nestled between Milwaukee and Green Bay, Fond du Lac and the Lake Winnebago Region welcomes you to an intriguing hub-and-spoke group tour destination surrounded by more than 70 attractions! From the endearing charm of Wisconsin supper clubs to waterfront restaurants to historic and agricultural excursions to behind-the-scenes and hands-on experiences, we invite you to begin your next adventure in Fond du Lac. The Fond du Lac Visitors Bureau offers suggested itineraries giving you a glimpse at the experiences ready for you to explore! This enables you to "unique" your trip to make your group's excursion a memorable one! A culinary delights tour featuring farm-fresh produce, cheese, ice cream, apple orchards, chocolate and wine. Samples abound! From ice age formations to a native prairie to a tour of the largest cattail marsh where you'll observe bird species, wildflowers and mammals in their natural habitat. From lighthouses and maritime museums to costal tours and dining along the shores of Lake Winnebago, you'll enjoy our ship-to-shore experiences. Discover a one-of-a-kind goat milking and cheese-making facility, view milking carousels on a modern dairy farm, explore a working fiber farm, and visit Wisconsin's Famous Clydesdales. A bit outdoor adventure, a little shopping, a touch of history, and always an excellent variety of tasty food - all uniquely Fond du Lac! Tour the wonderful flavors from farms and businesses in the Lake Winnebago Region - a bee farm, a cheese factory, a winery, and a goat farm plus a little history for good measure. 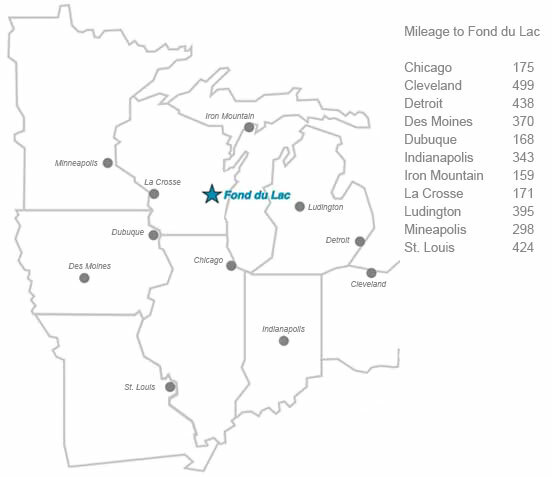 Fond du Lac, a great midwest destination. We're "in the know" when it comes to Fond du Lac! Depend on us for dining, attractions and behind-the-scenes tour suggestions! LET'S START PLANNING YOUR NEXT TRIP! Or share your information below and I'll be glad to contact you!